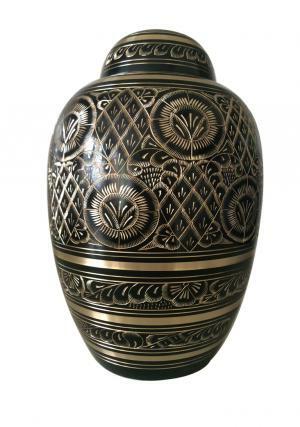 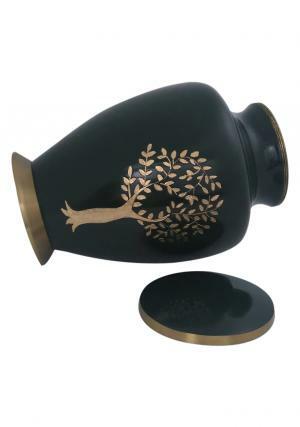 Aria Tree of Life Adult Urn for funeral ashes is decorated in dark green finish with engravings of tree designed on the urn. 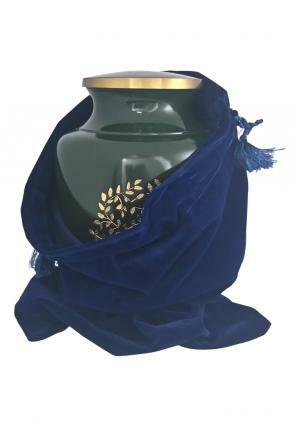 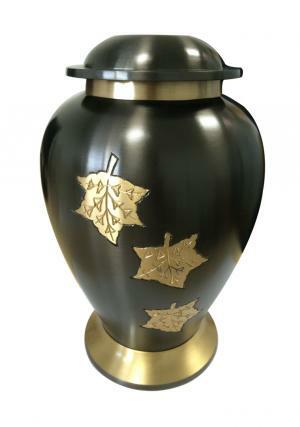 The large adult green urn is made of brass metal with gold band presentation on the lid and at base. 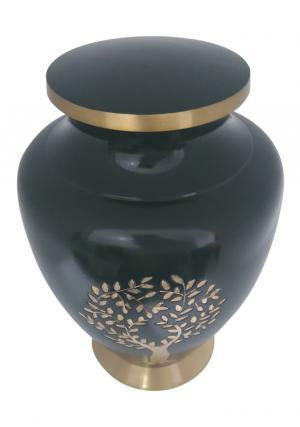 The adult tree of life urn for ashes is decorated with lid on top to secure the ashes using a screw threading. 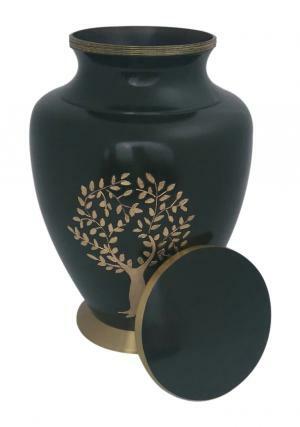 The engraving of tree will represent the life and nature of the person. 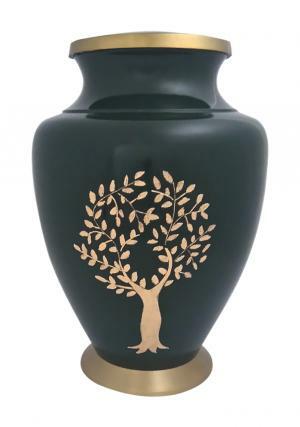 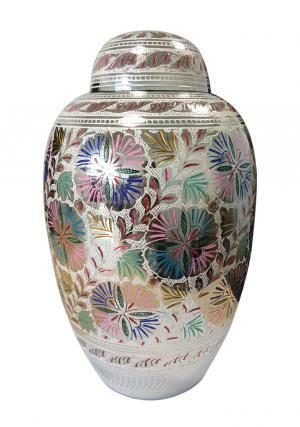 The Aria Tree of Life adult large memorial urn is measured with 9.8 inch in height, 6.7 inch in width and weighs 2.46 kg (empty urn) with approximation of 200 cubic inch ashes.